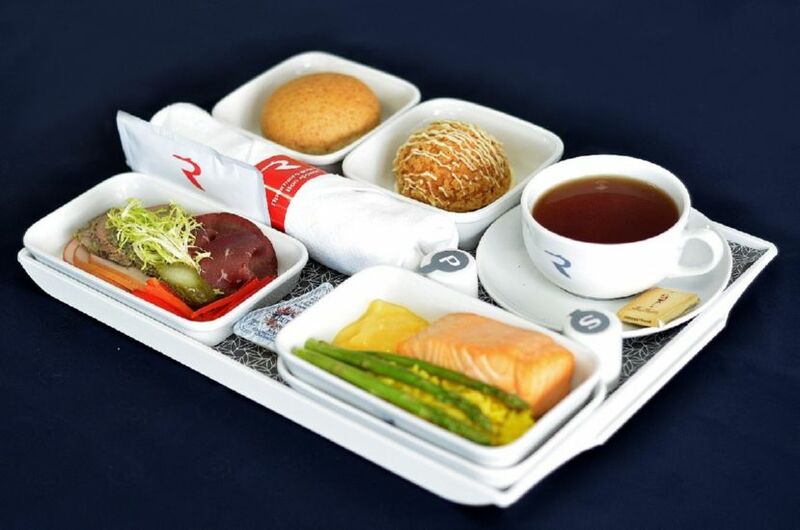 Rossiya Airlines has completely renewed the menu for Business and Economy classes on long-haul flights.The new menu takes into account tastes and preferences of Far Eastern passengers, and products are mostly local, according to the airline’s release. Special attention was paid to the compatibility of ingredients and new taste impressions. Meals offered are focused on modern trends of healthy nutrition. The emphasis is done on ecological Far Eastern products: salmon, sockeye, shrimps, squids, crabs, octopus, eel. On January 1, the assortment has changed on flights from Yuzhno-Sakhalinsk. 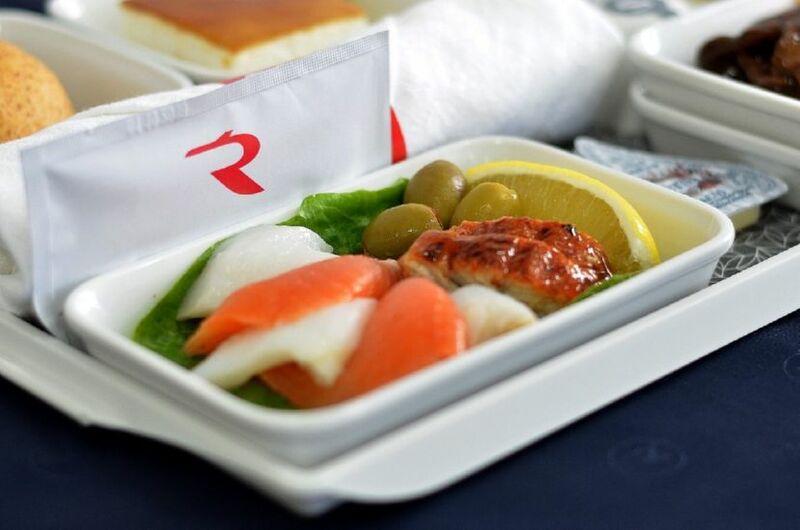 Passengers of Business class are offered absolutely new exclusive meals, which are used in no other menus of airlines departing from Yuzhno-Sakhalinsk: crudités with cheese sauce, crab and avocado ceviche, chicken tajin with honey pears, shrimp baked with crab, beef in Yakitori sauce. 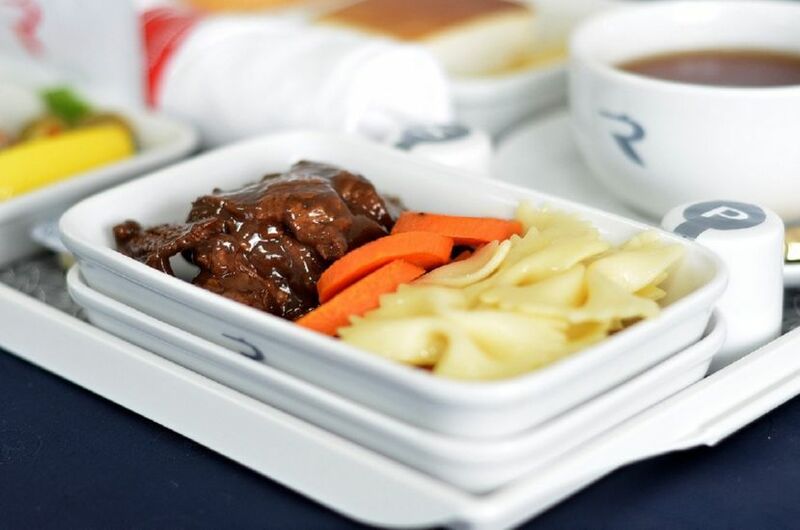 In the beginning of January, Rossiya Airlines introduced new menu on flights from Magadan. 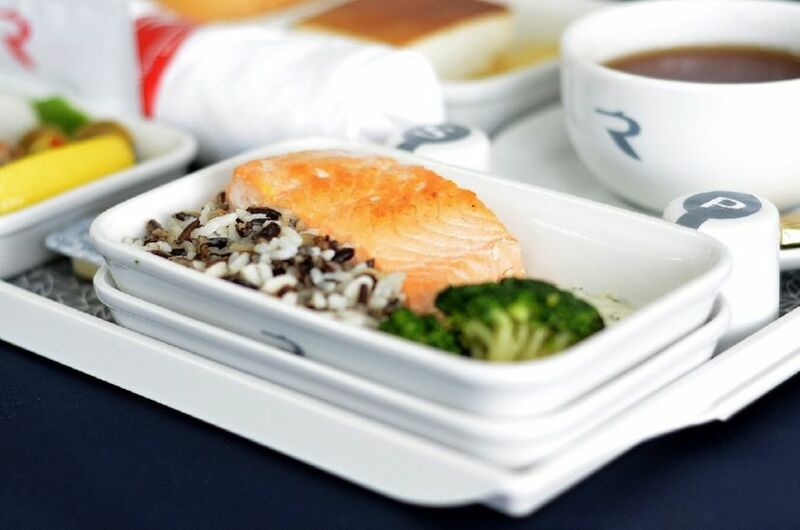 The assortment of hot meals in Business class was extended – it includes potato gratin, grilled trout, steamed salmon, grilled meat, fish and vegetable dishes, new types of mousse and jelly cakes. Passengers of Economy class are offered a new hot meal – Thai chicken breast. 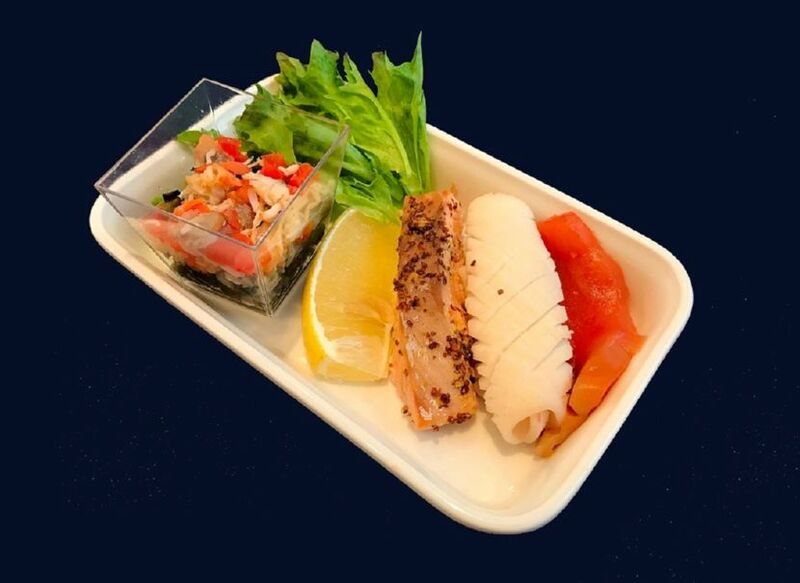 Since January 16, 2019, Business class passengers can evaluate cold smoked salmon balyk, cold smoked halibut fish, salted salmon caviar, salmon in teriyaki sauce. The assortment of economy class hot meals includes Sichuan chicken, ajapsandal with beef and marinated chum salmon. The menu of flights from Vladivostok will be renewed on January 21, 2019. 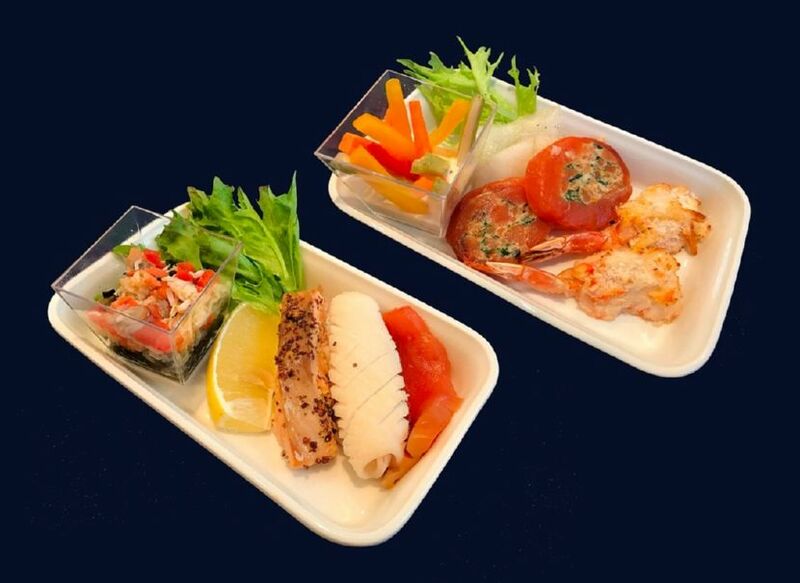 The composition of snacks for Business class passengers will now include halibut, sockeye, smoked octopus, boiled squid, fried shrimp; sockeye in oyster sauce are offered among hot dishes, also passengers can try fried fern with vegetables as a side dish. A spicy note is added with sofrito (Italian steaming), which has been included into the list hot dishes for Economy class, and passengers will also be able to appreciate the spicy chum salmon prepared according to a special recipe. 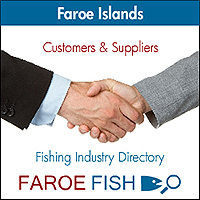 The fish industry of the Far East is traditionally famous for the quality and taste of the products. All dishes of the new menu maintain a finely weighted combination of ingredients. Only high-quality natural products, which reveal amazing taste variations of the new menu, are used in snacks, main dishes and desserts. 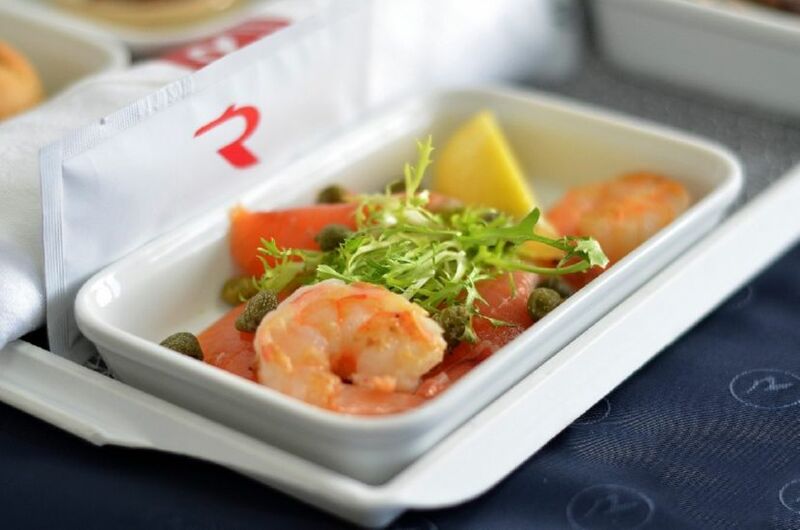 The onboard menu of Rossiya is the most important component of the service, which the airline plans to develop comprehensively, combining the rich culinary experience of Chiefs, exclusive recipes and recommendations from clients. Rossiya Airlines is a part of Aeroflot Group. The total amount of the airline’s route network directions is more than 130 destinations. In 2017 Rossiya transported more than 11 million passengers, which turned it into one of the top three civil aviation leaders of the Russian Federation. The airline is the favorite carrier of Saint-Petersburg citizens and the largest carrier of Pulkovo Airport. Since 2016 the airline has been implementing a programme of the fleet and aircrafts cabins renewal. Domestic and international routes are operated with Boeing 747, Boeing 777, Boeing 737NG, Airbus A320 and Airbus А319 aircrafts, which are honored with Russian cities’ names. Special projects aimed at supporting the unique nature of the Far East are aircraft liveries Tigrolet and Leolet. Special project aimed at supporting of sports is an aircraft, which received the name Sportolet. Since 2014, the airline is the official carrier of Zenit football club.